Schaumburg, IL is the home of Assurance Company of America, an American subsidiary of global insurance giant Zürich International. As a subsidiary, Assurance Company of America sells and services policies under the Zürich International name. The company conducts no business under its own name at the customer level. Therefore, all information about this review comes directly from resources relating to Zürich International. Search for better health insurance rates than you pay now by entering your zip code below. Zürich International is one of the world’s largest insurance providers and one of only a few that can truly call themselves global in scale. They are active in more than 170 countries, employ more than 60,000 individuals, and have an extremely strong presence in North America and Europe. They provide a long list of services to consumers, small and medium-sized businesses, and large corporations. Their range of products is so extensive that it would be nearly impossible to list them all here. Although Assurance Company of America and Zürich International provide health insurance in the United States, their policies are supplemental rather than primary. This means that consumers would access their Assurance Company of America policy only to cover expenses that their primary policy will not cover. Depending on the type of policy an individual has, his coverage can include lost income, extended hospital stays, and other unusual expenses. Assurance and Zürich offer their health insurance at both the retail consumer level and the commercial level. However, there are differences in the types of policies and coverage available among the various classes of insurance. This means it is possible for you to get different coverage on an individual basis than what you would get through an employer sponsored program. Specific information about their health insurance policies is available on the Zürich International main website. Because of the nature of the Zürich International’s business, they sell and service their products through a combination of direct-to-customer and local agents. This model allows them to glean the best from both types of business in order to serve their customers better. The thousands of independent agents in the United States can be located by utilizing a search tool on the Zürich International website or simply by calling them directly. As independent agents, these individuals are able to compare the policies of several different companies they represent, in order to find each customer the best coverage for the best price. By the same token, utilizing the direct-to-customer approach does allow for quicker and more efficient transactions between Assurance Company of America and its clients. 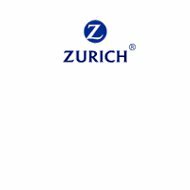 The Zürich International is one of the few global insurance companies that utilize both types of business. For your convenience, we have listed below the address and contact information for both Assurance Company from America and the Zürich International, North America. Although it appears that the location of both companies is the same, the contact information is slightly different. Assurance Company of America has received financial strength ratings from A.M. Best separate from those given to the Zürich International. As of late 2010, the company had an A+ rating for current financial stability. Their future outlook was listed as stable. This company is currently considered financially strong with the ability to pay claims and meet current debt obligations. There is no reason to believe, with a stable future outlook that this should change anytime soon. As for the financial numbers for Assurance Company of America, the last reporting showed them doing very well. Official filings list total assets of approximately $30.8 million, working capital of $5 million, and a total policy surplus of almost $13.7 million. In addition, they also have the financial strength of Zürich International to further bolster their financials. Zürich International and its subsidiaries enjoy a solid reputation around the world for quality of service, coverage offered, cost, and claims service. Of course, these individual things may vary from one subsidiary to the next and from one country to the next. Suffice it to say, Zürich International has grown as large as they have because they know how to take care of their customers. Enter your zip code into the search bar below to see instant online health insurance quotes.